While holistic cancer healer Dr. Nicolas Gonzalez, MD was interning at the Memorial Sloan-Kettering Cancer Institute in New York during the 1970s, there was a hall adorned with several plaques honoring those who donated large financial sums. The donors were close relatives of those who had died while undergoing treatments. He and his fellow interns called it the hall of the “Greatful Dead”. As the cancer death toll rises, which is often from conventional treatments, it serves to put fear into so many who are afraid to go with alternative approaches that are less expensive and safe. Those are approaches that ‘cure’ the person instead of treatments meant to kill the disease if the patient survives the treatments. What’s leaked out of the medical establishment hasn’t surfaced much yet. Some within the “club” are admitting they aren’t really ‘curing’ many cancer cases, but they’re making them worse. Even the tumors ‘metastasize by “spreading”‘ theory has been challenged. This is because cancers have their own stem cells that are often resistant to conventional drugs and create tumors again, with a vengeance, after an apparent tumor shrinkage that tags a conventional treatment as successful. It’s a bit like RoundUp herbicides creating super weeds that develop a resistance to it, or MRSA super bugs that have developed a resistance to antibiotics. So with this new knowledge, the cancer industry is set on finding ways to target these cancer stem cells with more and different toxic drugs. There’s no urge to boost the immune system that’s wiped out by chemo or radiation – nothing included with nutrition or balancing one’s internal biology. This, while ignoring natural cancer cell killers that can discriminate between normal and cancer cells. The essential chemotherapy approach was derived from WW I mustard gas chemicals. It just kills whatever is in it’s path, but hopefully it might spare the patient! But there’s not enough money in natural approaches for the cancer industry to consider their empirically proven ‘cure’ rates (five years cancer free) of 80% of cancer patients who avoided chemo and radiation or 50% of those who were subjected to cut, burn, and poison interventions. Instead of admitting a meager ‘cure’ (5 years cancer-free) rate of 3% for most cancers, anyone who dares stray from the AMA “standard of oncology care” is harassed and threatened to no end, as is anyone who discovers any other approach that safe, effective, and relatively inexpensive. 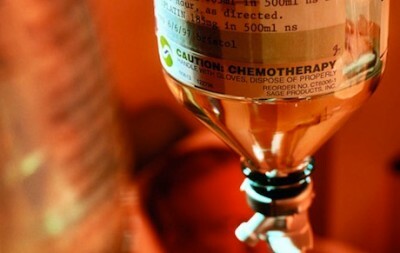 What drives cancer patients into conventional treatments? Ignorance, fear, and finances. Thanks to the cancer industry’s suppression of natural solutions and supported by most mainstream media, most are unknowing. And the fear of death fosters hope that going through tortuous treatments may not fail after all. Health insurance helps support the multi-billion dollar cancer industry by paying for overpriced toxic treatments. Below are some linked sources of more information for anyone who wants to break free from the medical mafia matrix and fully heal healthily from cancer, or at least eventually die with less agony and more dignity. In addition to treatments, lifestyle changes are strongly suggested. Told that I had 2 different cancers in Dec 2013. Dr. wanted to cut off my testicles, chemo & radiation! What ???? So I found the baking soda & molasses on line. Did that for 14 days. Next I juiced 4.5 lbs carrots & some greens & fruit. 6 months later I’m the fittest I’ve been in 20 years. Thanks for a great article. Some day it will become evident that the answer is not to take in something to cure cancer, but to stop taking in the things that are causing it. Which makes the big money aspect of it even more insurmountably. Why lose money telling people to stop consuming when you can make even more getting them to consume something else. You hit this one right on the head. The medical profession does not want a cure for cancer if they are not making any money from it. There are cures for many cancer’s, it is a fact. The insane amounts of money that the cancer industry would lose if these cures became mainstream would bring the “cancer industry” to its knees. What it will take to get there I do not know. But as long as those like Dr. Gonzalez keep trying and those like yourself keep exposing the “medical establishment” we can start a wave of change.